Your Greatest Strength? The Authentic You. I was talking to a job seeker the other day who was preparing for a job interview. “I’m looking at the job description and trying to figure out who I should be,” he said. “Well, the person they are looking for has to have a skills match, but they also have to prove they understand the industry and of course, I’ve been researching the company and they have a very unique corporate culture, so I have to somehow show them I can fit their culture as well,” he said. “So let me understand this. Based on your resume and a phone interview, they have decided to interview you for the job. They clearly see your potential based on your background and your initial conversation. Have you ever thought that instead of trying ‘to be’ someone else that you might consider simply being yourself?” I asked. “Well, I have to prove to them I’m a fit,” he said. He smiled and saw my point. Being your authentic you is one of the strongest strategies you have as a job seeker but it is also one of the most common difficulties. In desperation to prove you are the best fit for the job based on the job posting, it is really easy to miss the authentic connection that is tied to real reasons you are qualified: the strength of your authentic self. The authentic you is typically not tied to an individual skill, but to your own personal values that give you strength in any situation such as integrity, ethics, empathy, fairness, accountability, achievement, perseverance, self-discipline, personal fulfillment, responsibility and respect. The authentic you is typically not tied to an individual skill, but to your own personal values that give you strength in any situation such as integrity, ethics, empathy, fairness, accountability, achievement, perseverance, self-discipline, personal fulfillment, responsibility and respect. Yes, it can feel incredibly vulnerable to put on display your authentic personality. It sometimes seems like a risk to be frank and truthful about your how your success is tied to your personal values. But your authentic you is what will make you stand out in a crowd of candidates. Your authentic you is what made you succeed in the past. 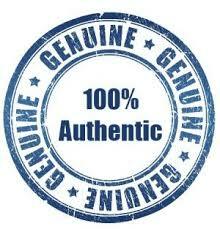 Your authentic you is why people like having you on their team and gives your bosses faith and trust in your judgment. You might have specific skills sets that are unique. You may have a way of analyzing a problem that is different than others. You may have a special way of managing a crisis that shows you are the calm in the storm. You may have unique leadership traits that can help to improve a department’s morale. You may have an infectious enthusiasm that connects clients to a product. Show how the values of your authentic you are connected to your success and to what makes you YOU. Plus, if you are hired based on the connection to your values, most likely it is going to be a company that you enjoy working with as well. By trying to be someone else to ‘fit’ into what you think is the mold of the job, you will most likely be missing the most important reasons they would consider hiring you in the first place; the essence of who you truly are – your authentic self. Take ownership of your unique strengths and skills and connect those strengths and skills to prove that the authentic you makes you the best candidate for the job.